Keep an eye out for the Easter bunny in airports over the holiday weekend – in all sorts of places. At London’s Heathrow Airport, the Easter bunny will be handing out treats in the terminals – and there will be bunnies in some coffees. Four coffee companies, including Costa and Starbucks, are showing off their foam art skills and offering customers an extra treat through March 28. 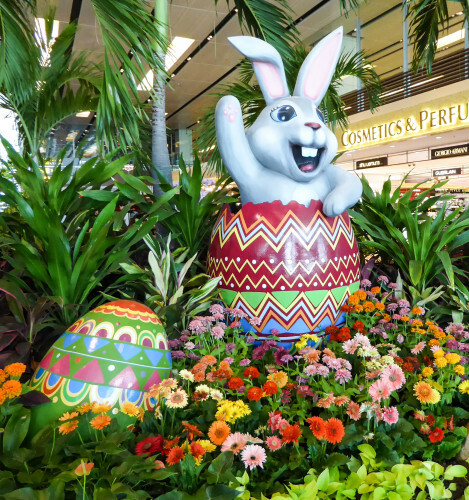 And here are some Easter snaps from the Stuck at the Airport archives – from JFK and Singapore’s Changi airport.